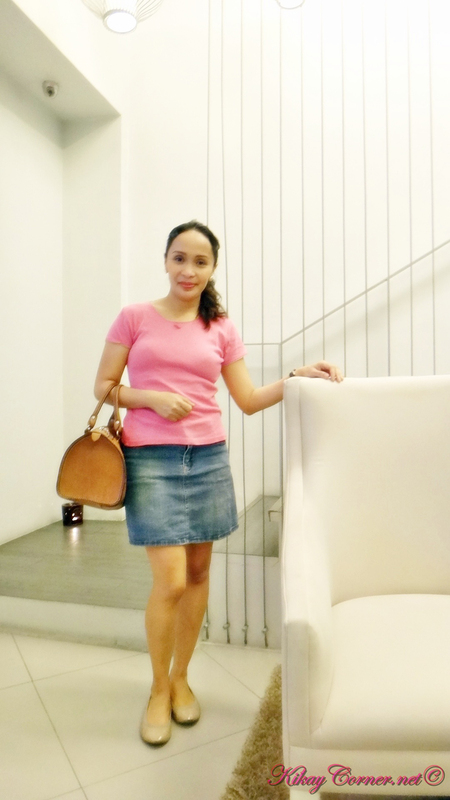 I made sure I threw in all my cellulite-related questions during my consult with SKIN’s resident dermatologist. I sure have learned a lot about Velasmooth treatment. For one, Velasmooth is the first clinically proven non-invasive technology for the efficient treatment of cellulite and circumference reduction. It can be done once or twice a week, depending on the doctor’s advice. As I showed Dra. my problematic right thigh, which I started noticing to have gone from bad to worse from two years ago, she was encouraging enough to let me know that it really is not so bad and can be taken cared of within a month of Velasmooth treatment! Precisely my deadline to get in shape for our Plantation Bay trip! Soon after consultation, I was ushered by one of the nurses to this lovely little cubicle that has this robe my size at its entrance waiting for me. 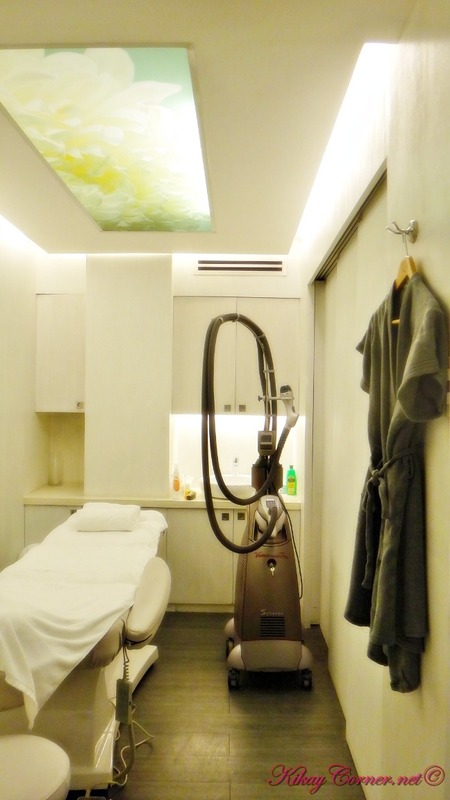 And yes, I could not have missed that enormous robot-looking contraption that turned out to be no less than the Velasmooth treatment machine itself. combined-energy technology using infrared laser light and bi-polar (dual electrodes) RF energy with tissue mobilization and suction (pulsed vacuum). 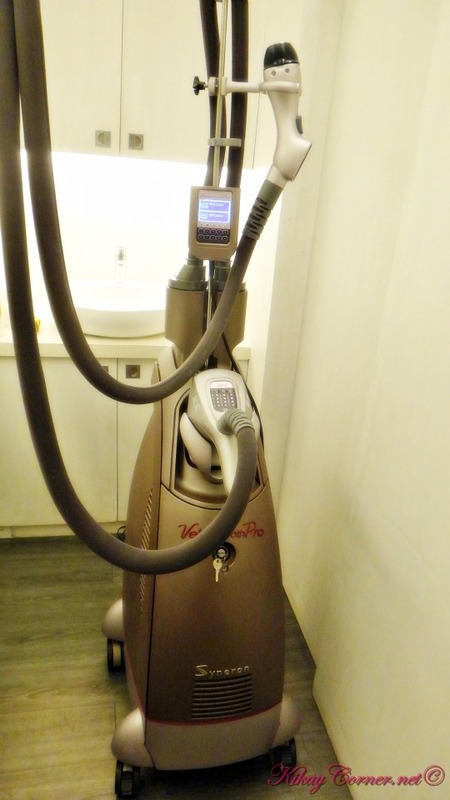 The nurse applied this Vela Spray lotion on each part before they went on through the massage-motion treatment using the Velasmooth Pro machine. While a nurse works on Velasmoothing the targeted area, the other one checks on the temperature. The conducted RF increases oxygen intracellular diffusion by heating the adipose (fatty) tissue to a depth of 5-15mm. The infrared light increases the skin’s elasticity and heats the subcutaneous fat to a depth of up to 5mm, while safeguarding the skin from damage. The tissue vacuum manipulates and smoothes out the skin to facilitate safe and efficient energy delivery. I was told that the above Velasmooth detachable roller head has a maximum lifetime to ensure its optimal function. The tissue mobilization is facilitated by rotating and self-cleaning electrodes to ensure the excellent coupling with the skin during the treatment. Kikay Corner is one happy Velasmooth camper. Velasmooth is non-invasive and non-surgical. 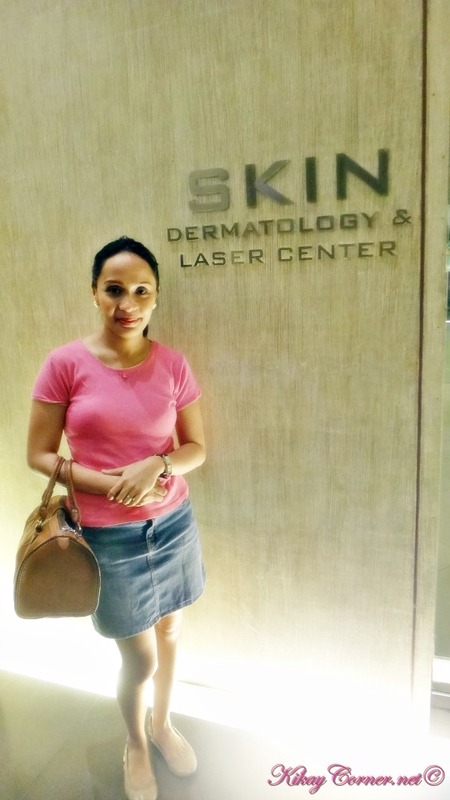 The Velasmooth treatment is available at the Skin Dermatology & Laser Center located inside The Spa at the Fort. 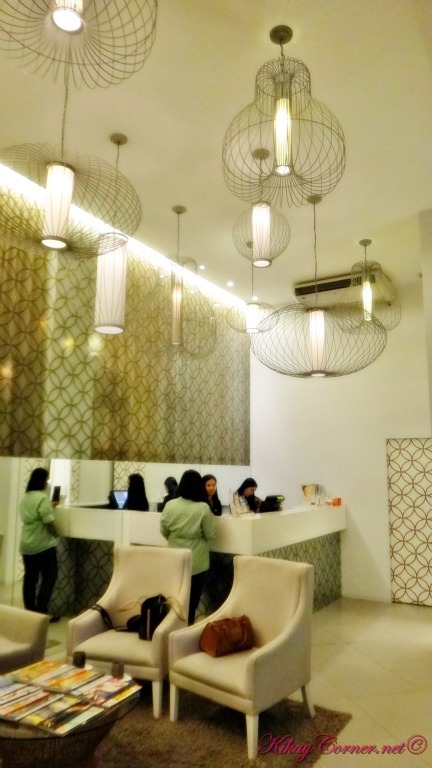 For inquiries, call (+632) 403.8000. But you’re already thin to begin with! 😀 I couldn’t even tell that you had flab problems.